Roland Gerard Barthes was an influential French philosopher and literary critic, who explored social theory, anthropology and semiotics, the science of symbols, and studied their impact on society. His work left an impression on the intellectual movements of Structuralism and Post-Structuralism. Barthes started his philosophical journey with reactive ideas to the phenomenon of existentialism. In his book Writing Degree Zero (1953), he expresses his thoughts by saying that by sticking to a certain style and convention of writing, authors often lose their original form which leads to lack of creativity and unoriginality. By this he means that creativity is a continuous process of gradual change, which can be perfected only through constant practice and resilience. Following his debut, his works Mythologies (1957), Critical Essays (1964) and The Eiffel Tower and Other Mythologies (1964), explore the meaning we have associated to various popular cultural icons, ranging from the world of fashion to advertising to wrestling. In his book The Fashion System, Barthes shows how various signs and symbols can be twisted and reinterpreted in different ways. He explains how any word can be associated with glamour and idealistic meaning in the field of fashion. People are likely to associate any piece of clothing with luxury and beauty if fashion tells them to, according to Barthes. Barthes’ most renowned work is an essay titled “The Death of the Author” (1967) in which he presents his famous literary theory. He strongly opposes the incorporation of an author’s background, education, caste, ethnicity, religion, nationality and gender while interpreting his literary works. Barthes was of the view that a writer and his work are separate entities, and so they must not be related when his work is critically examined. Keeping in mind the author’s biasness and religious and political leanings while examining his texts might seem an easier way to understand his works, but in reality it is a flawed system which can potentially limit the readers’ understanding. In his book S/Z (1970), Barthes expresses his opinion on what constitutes an ideal text. According to Barthes, a text is truly ideal if it not restricted in meaning, and can be interpreted in many different ways. He introduces two literary terms: writerly text, meaning text which can be creatively understood by the readers, and readerly text, in which readers are restricted to the meaning intended by the writer. All in all, Barthes maintained a unique literary philosophy and a vague, eccentric writing style which was widely copied by writers worldwide. His theories gathered equal amounts of praise and criticism by readers and critiques alike. After the 1970s, his philosophy had spread not only in France, but also in America and Europe. He inspired various philosophers and thinkers, among which are Michael Foucalt, Jacques Lacan and Jacques Derrida. 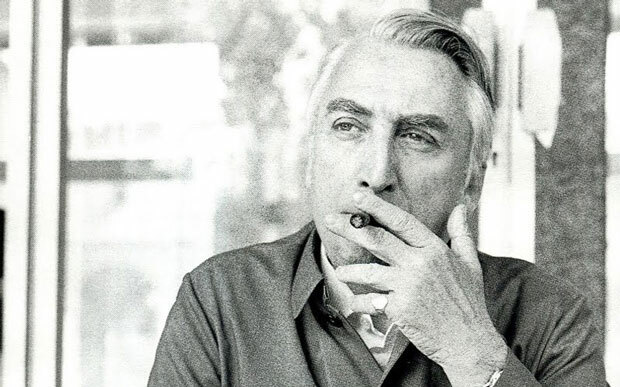 His last books, an autobiography titled Roland Barthes by Roland Barthes (1975) and A Lover’sDiscourse (1977) established his stature as a literary stylist and writer. Barthes passed away at the age of 64. A Barthes Reader (1982) and Incidents (1987) were published by his friend Susan Sontag posthumously. His critical approach to literature greatly contributed to the development of semiotics, structuralism and post-structuralism. His philosophy is not restricted to these schools of thought; in fact, it has affected various modes of communication, such as photography, music, and even computers. Roland Barthes work is ever-changing and ever-adaptive, providing new insights to literary philosophers even today.